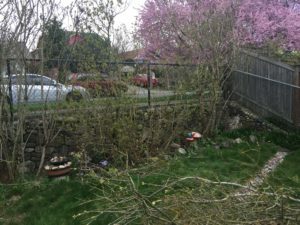 Jen stopped by the other day and pointed out that one of the lilacs against the retaining wall at the front of the property had fallen over. 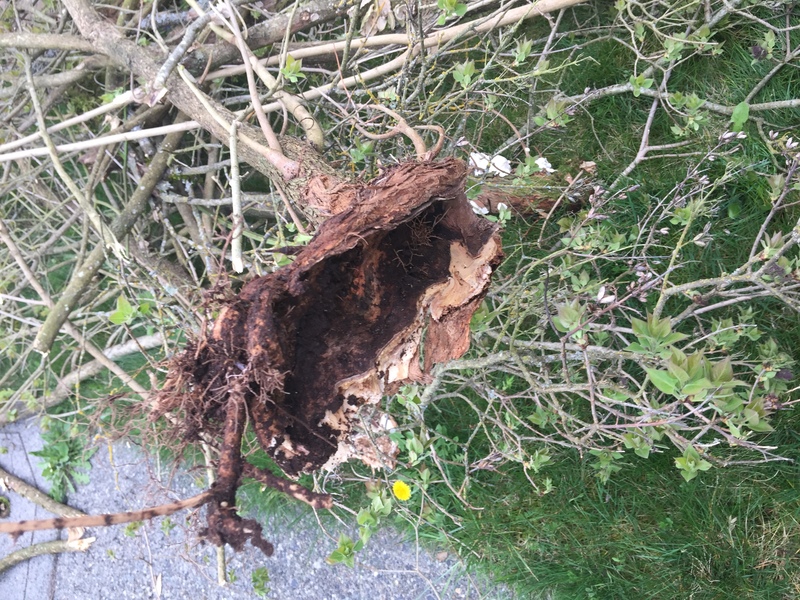 Turns out all the main trunks of the middle lilac were completely rotten and mostly hollow. 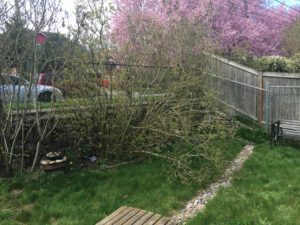 I’m starting to wonder if maybe lilacs just aren’t supposed to get to tree size, since the lilac in the side yard that was twenty feet tall with a 10″ trunk was also rotten and hollow before I cut it down. 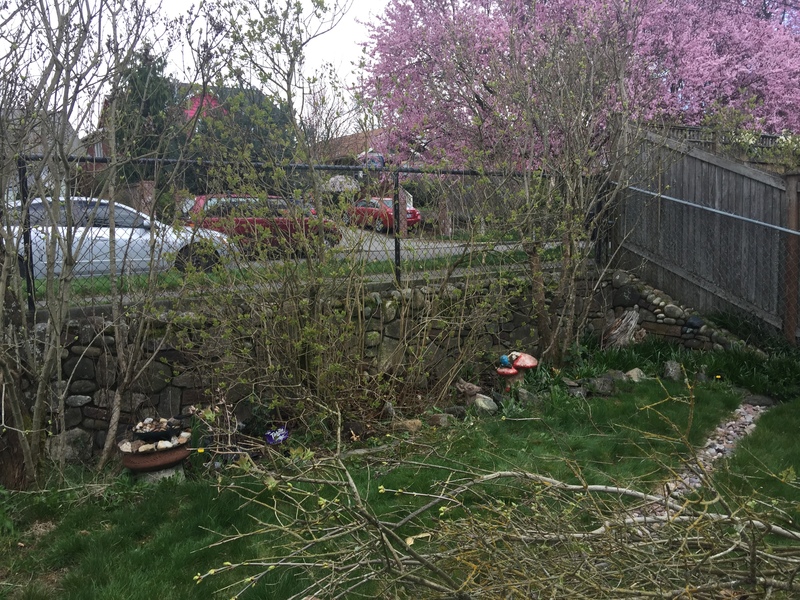 In any case, I pulled out the rest of that lilac, and what’s left is a whole bunch of 1/4″ shoots coming up from the ground next to the stump, so I guess those are fine. Honestly, I’m starting to wonder if maybe I just shouldn’t pull them all out and replace them with something that’s going to do a better job of screening and will look nicer. 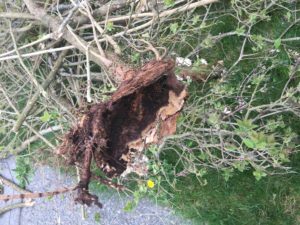 They’re not particularly pretty even when they’re in bloom, and they’re kind of thin and unruly, and evidently if they continue on they’ll rot and fall over anyway. 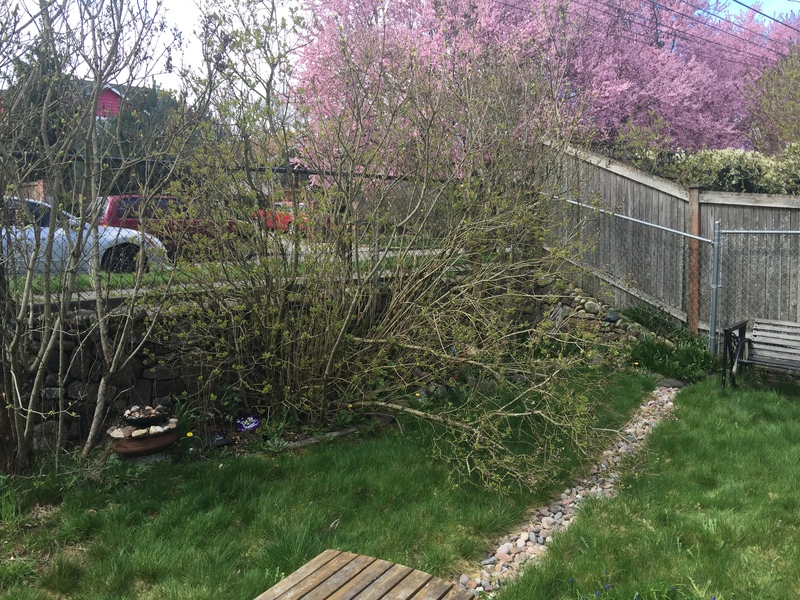 I suppose I could fertilize them and see if they perked up and came in better, but I suspect I’d just end up fertilizing the morning glory and blackberries that keep trying to take over that bed.